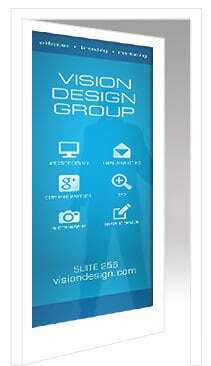 Vision Design has had a wonderful relationship with Wabasha-Kellogg Chamber & CVB for many years. 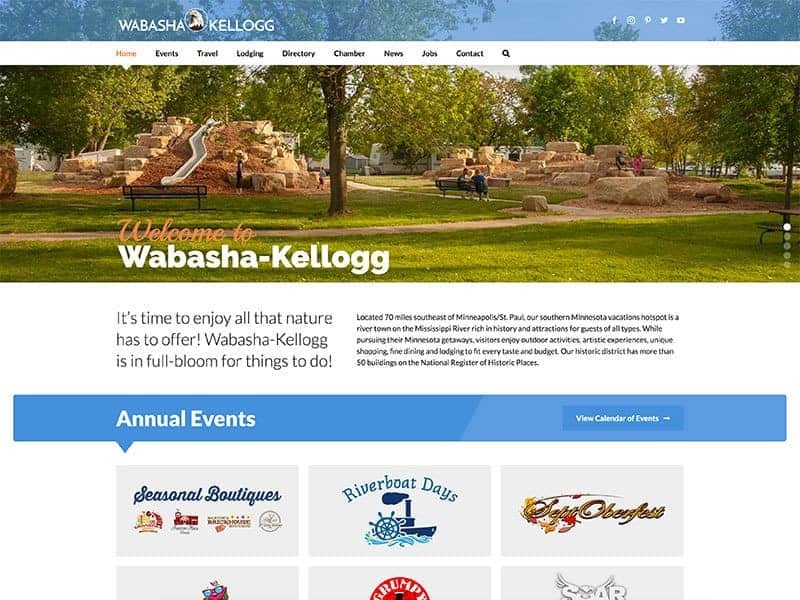 They are a fantastic asset to the Wabasha-Kellogg community as their site is host to a plethora of information about events, news, resident information and so much more. Community members and first time visitors alike can peruse the Wabasha-Kellogg Chamber & CVB site to find activities to do for the whole family including town festivals, Septoberfest, local restaurants & businesses, and so much more. Although only a website, with all the businesses, events, and celebrations advertised on the site year round, it is not difficult to see how tight-knit the Wabasha community is. We think it is very important for communities to have a site that unites residents and keeps everyone up to date on everything going on. The website is fun and interactive with so many great pages to explore! Our team was excited to debut the Wabasha-Kellogg Chamber rebrand which includes a brand that is shared by both the website and the city travel guide, easy navigation and a greater emphasis on jobs and lodging. Wabasha-Kellogg Chamber was also excited to have their website updated to be mobile friendly. Let us help your organization stand out with a stunning website today!